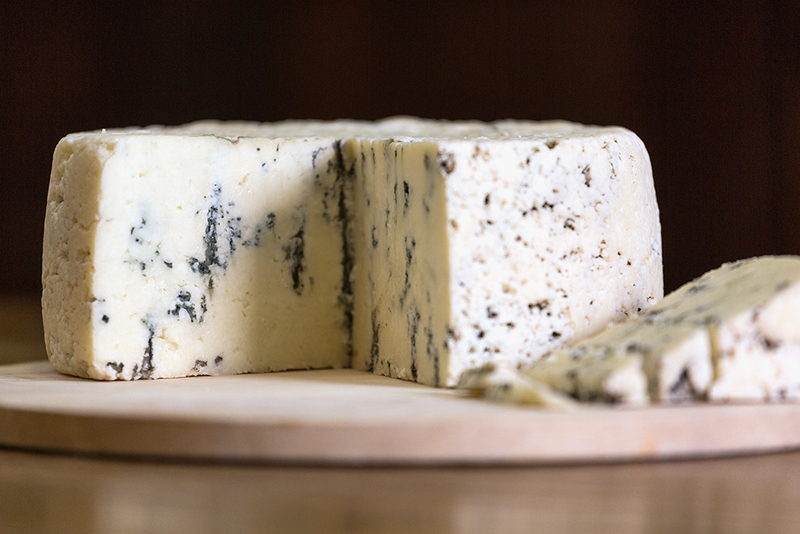 Black & Blue is a robustly flavored blue cheese with a dense, buttery, stark white interior that is deeply blued. Piquant and sharp with a slightly sweet finish, it crumbles melts or slices easily. Beautiful in appearance and flavor, it is unique among a handful of 100% goat's milk blue cheeses worldwide. Aged a minimum six - eight months, its taste and texture continue to surprise.